My eldest son is almost finished with Kindergarten…. I can hardly believe it!! He is growing up way to fast… we recently sat down with his teacher and she shared that he is not keeping up with the class in his reading. We know this has been an area of struggle for him, and weren’t sure to push him, or just let him develop naturally in this area. We know he will be okay in the long run, but I don’t want him to feel bad about himself as he notices what his classmates can do. 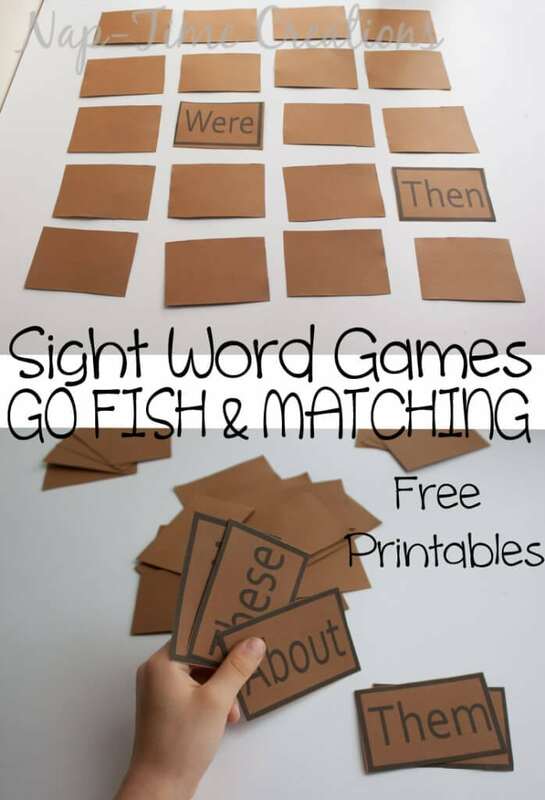 Since that meeting we have been doing a bit more reinforcement at home and one of the ways we are making it fun is with these sight word games. You can download the blank version here. It’s a PDF and you can hand write in the words you want or you can convert the document and type your words in WORD. 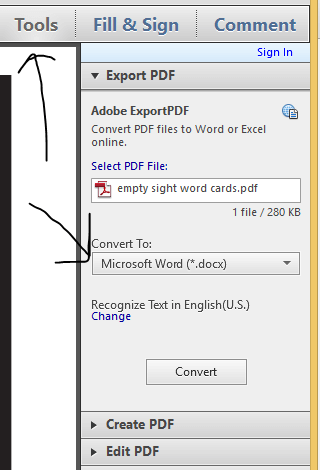 Here is a screen shot.. go to TOOLS- then convert to the type of WORD doc you want… you then should be able to edit the PDF…. 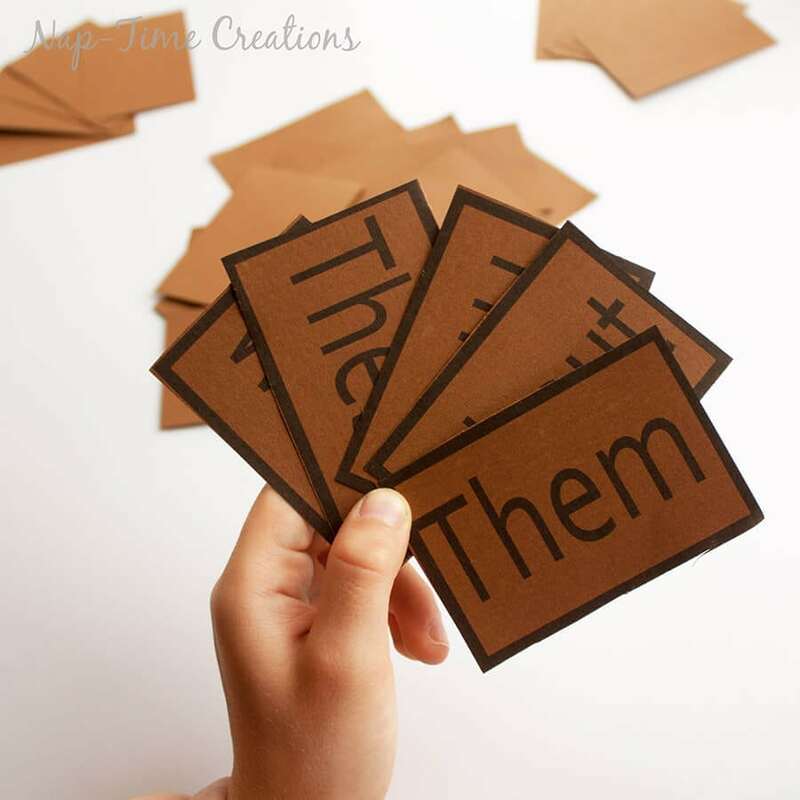 You want to make sure you have two cards for every word.. a pair! We’ve played GO FISH and MATCHING with these cards. 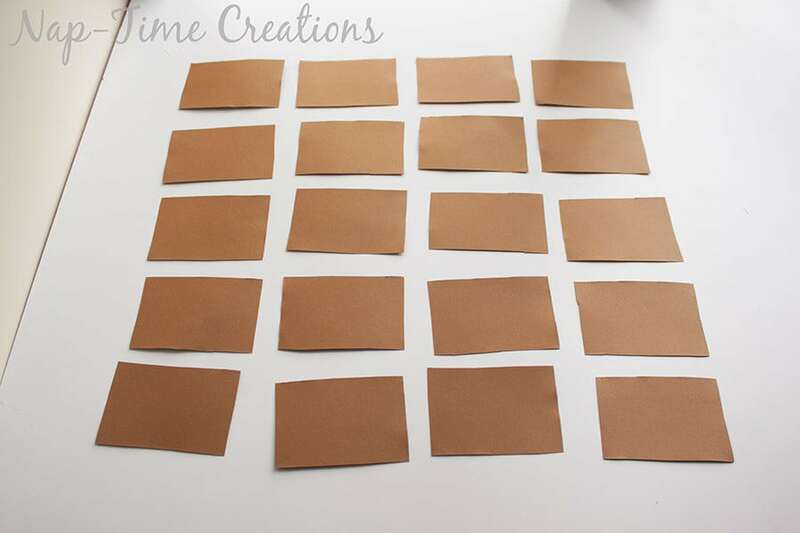 For matching: Choose some or all of the cards, made sure you have pairs. Shuffle the cards and lay them face down on the table. Take turns flipping two cards. READ both words.. and if they match you can keep the cards. If they don’t match flip back over. If they do match you get another turn. Continue until all the cards are matched up. 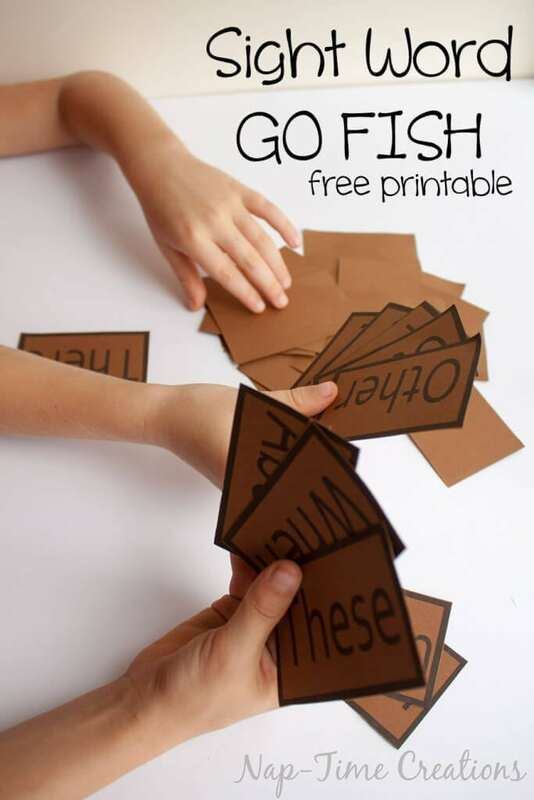 Go Fish Game: Shuffle Cards and deal each person five cards. 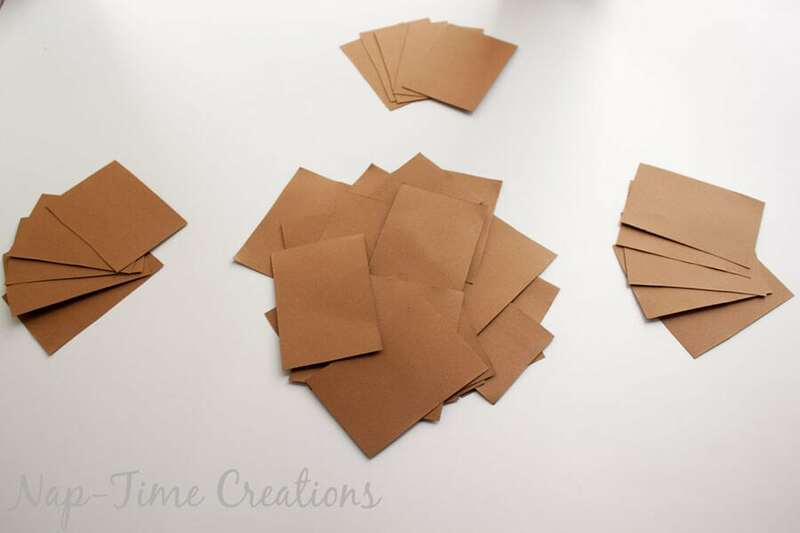 Place remaining cards spread out in the middle of the table. Take turns. Ask another player, “_____ do you have the word ______” Insert a name and one of the words. If you have it, give it to the first player. Then that same player can ask again. 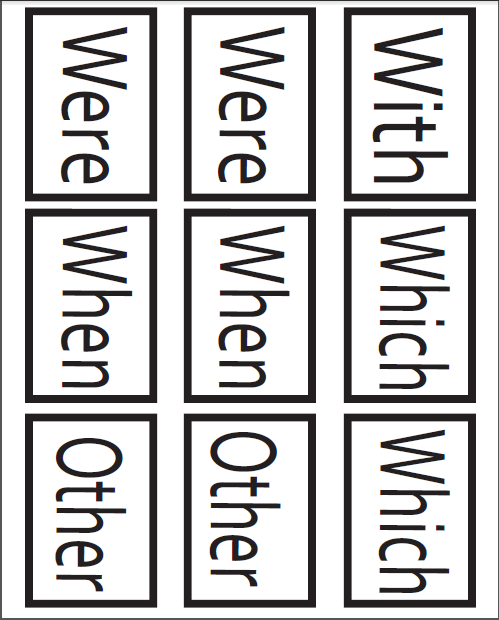 If the person asked does not have the card – then the second person says “go Fish”, and the first person then takes a card from the center pile. All pairs should be placed word up in front of each player as they are collected. What other games can you think to play with these cards? I’d love suggestions! I love the game Zingo. It’s not with the cards. But it’s like Bingo with sight words. You could maybe make a version. 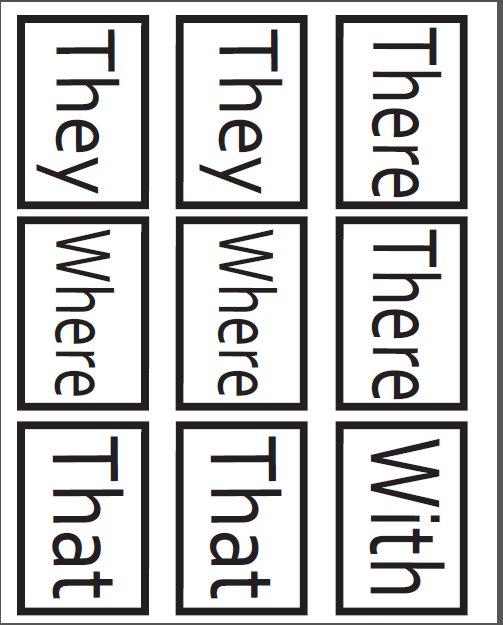 It uses a board with sight words on it and then when the cards are drawn everyone playing gets to read them and the first person to see if they have the word and say it gets to take the card and place it on their bingo board. You’re working for either a row or black out. that sounds like a great idea! I bet it wouldn’t be hard to come up with a home version of that!! thanks for sharing. Do you have a version of this but with the words spelled in all lower case letters? Thank you for sharing this! 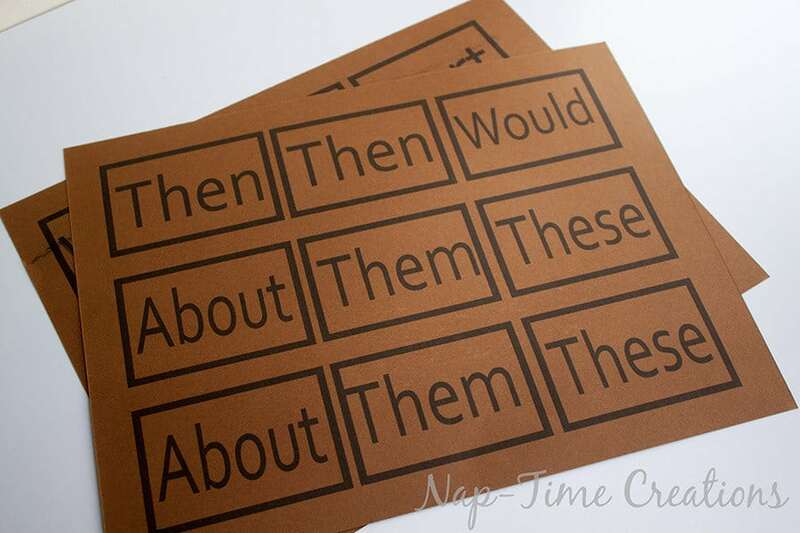 My little ones are just graduating from kindergarten and I am pinning this to use! Thanks for sharing at Snickerdoodle! 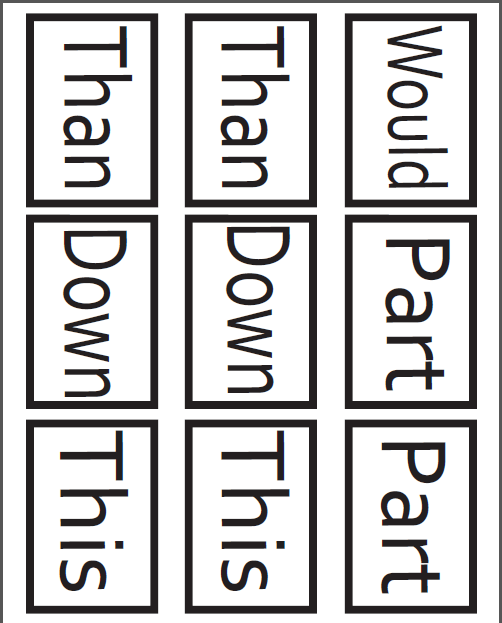 I love these ideas, but as a grade 2 teacher I often have students unsure of when to use capital and when to use lower case letters. All of these words should be printed with lower case letters because they are not proper nouns. Even a spelling list should have lower case letters. Thanks for listening to my rant…. I agree. Thank you for mentioning this. Great idea! It always helps when you make a game out of learning!!! Thanks so much for sharing at #ShareTheWealthSunday! My son is also in Kindegarten and while he showed so much excitement at the beginning of the year for studying w/ flashcards, it lost it’s luster after the Christmas break. We’ve actually had great luck w/ the go fish game the past couple of months. They don’t even realize they’re learning! Thanks for linking this w/ us at The Wednesday Roundup this week! 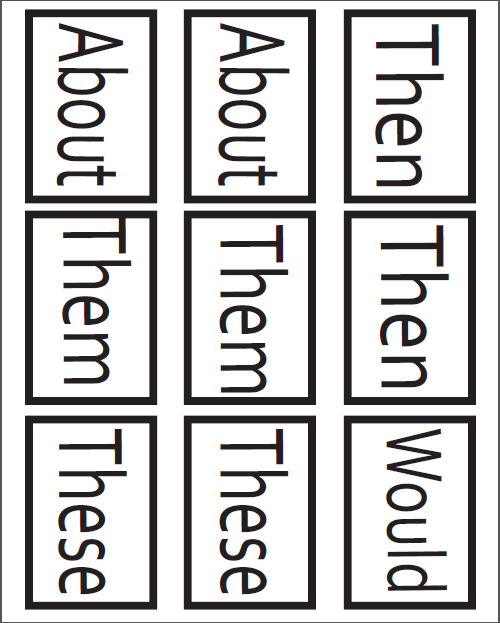 what an awesome idea as so easy to make/share/personalize per reading list or level! Thanks so much for sharing with us at Snickerdoodle! Really great idea! Thanks for sharing at Thursday Favorite Things! Thanks for the tips! can’t wait to check out your post! So great! This will be perfect for summer. My daughter is just finishing kindergarten as well and I don’t want summer to be a step back. Thanks for sharing! 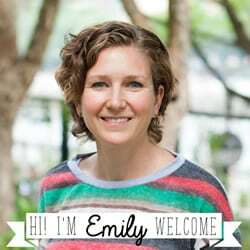 What a great resource for the moms of school age kids. Thanks for sharing at Wonderful Wednesday!